Interest is growing in a possible link between epilepsy and bipolar disorder (BPD). 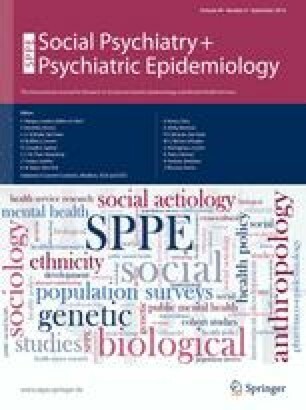 We used two large datasets of hospital admission data to determine whether epilepsy and BPD occur together in the same individuals more commonly than expected. We undertook retrospective cohort studies using the Oxford Record Linkage Study (ORLS) and English national linked Hospital Episode Statistics. We constructed a cohort of people in each dataset admitted with epilepsy (without prior admission for BPD), and a control cohort (without prior admission for BPD), and compared their subsequent admission rates for BPD. Conversely, we constructed a cohort of people in each dataset admitted with BPD and a control cohort (both without prior admission for epilepsy), and compared their subsequent admission rates for epilepsy. In the epilepsy cohort, compared with the control cohort, the rate ratio (RR) for BPD was significantly high at 3.0 (95 % confidence interval 1.7–5.1) in the ORLS and 3.6 (3.3–3.9) in the all-England dataset. In the BPD cohort, the RR for epilepsy was 2.2 (1.2–3.7) in the ORLS and 4.2 (4.0–4.4) in the all-England cohort. We found no significant differences between RRs for males and females. Epilepsy and BPD occur together in individuals more frequently than expected by chance. Over many years, the linked datasets were built by Leicester Gill and Matt Davidson, Unit of Health-Care Epidemiology, University of Oxford. The Unit of Health-Care Epidemiology was funded by the English National Institute for Health Research to analyse the linked data. The views expressed in this paper do not necessarily reflect those of the funding body. Ethical approval for analysis of the record-linkage study data was obtained from the Central and South Bristol Multi-Centre Research Ethics Committee (04/Q2006/176).